PowerDirector makes your home movies more engaging! 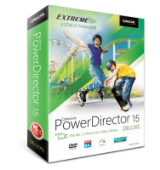 PowerDirector 15 LE was available as a giveaway on February 9, 2018! PowerDirector makes your home movies more engaging! A range of quick-to-learn and easy-to-use creation modes put you on the fast track to video editing, so you spend less time learning and more time creating. 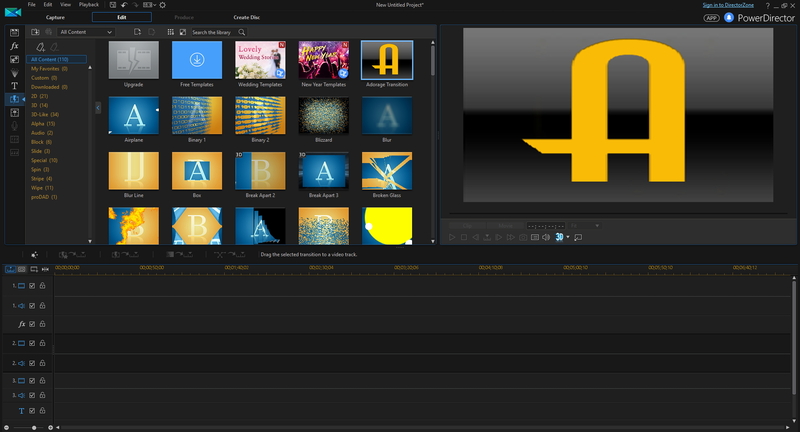 Video editing tools: Basic tools (trim, cut, title, transition, PiP, Chroma key, MagicStyle, Slideshow). How would you improve PowerDirector 15 LE? I have the paid version of PowerDirector 14 and have a couple of questions for the developer. 1. Would I gain anything by installing the limited edition of version 15? 2. Would they both exist on my computer and play fair, or would this overwrite my aid version? Downloaded and installed the program. After installation it just asked to open without any form to fill out and without any options to get a registration key. This is not a value if it does not work. I was not able to install program into program files (x86) directory. I am running a Win7 pro version. This is the normal place for programs to install to keep a system organized. I recommend the setup be updated to allow it to install into program files as primary destination. The user should be able to change destination if desired. Ravi, I'm having the same problem and I got the download from CNET and so I wrote in with all the info two days ago and they haven't written back yet. I downloaded and installed, got the activation key. When I put in I got an error message saying that there is no internet connection to the activation site.??? ?I opened the program but couldn't find a place to try activating it again. Reinstalled several times but got the same message.. Help! Alan Cassaro, how did you get the activation key? Does this allow one to "join" videos that have been previously split? Rudy, although 'late' to reply for this Giveaway - if I may pop in, just in case it helps others out in the future too - you can 'join video clips together' with any video editing application; place your clips in a row on the Timeline and Render it out to a high bitrate/datarate output (higher than the original clips, twice as high of a Bitrate, if possible). This will essentially 'join' your clips for further editing/archiving, if desired. If you're looking for a Specific Answer of, "does this application JOIN similar-format clips together 'in one step' without re-encoding", then no sorry, this does not do that (even the Full Retail Version). It is more of an Editor than a Utility with specific tools/functions. I understand its their right to do what they like with their property but its also their right not to give at all, witch in this case i believe was the better option, but i am sure some people will find some use for it as is, so i wish to thank all concerned for the giveaway including GOTD . Terry I, Thanks, It is good to know , you are given a crippled version as a giveaway but you can get a thirty day five second version to evaluate . ( i wonder witch to choose ) I understand its their right to do what they like with their property but its also their right not to give at all, witch in this case i believe was the better option, but i am sure some people will find some use for it as is, so i wish to thank all concerned for the giveaway including GOTD . Personally I'm not a huge fan of any Cyberlink software other than PowerDVD, so I don't have lots of experience with Power Director. That disclaimer out of the way, video & audio streams are each encoded using one of a variety of formats, e.g. mpeg2 video in the case of DVDs, usually accompanied by AC3 audio. One or both of those streams are then placed in a container -- using video DVDs as example, both streams, together with any additional audio streams & sub titles, are placed in a VOB container. The good news is that video & audio streams can each be copied out of the container they're in, & placed in another type of container without re-encoding, either together or individually. SO if a video app doesn't recognize one type of container, it's very often possible to work with the same video in another type of container. 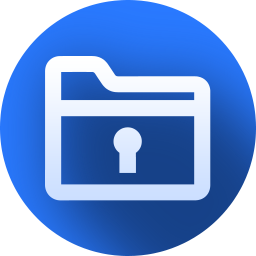 A utility called Media Info can be handy to tell just what you've got inside of a video file -- you can get that, along with tools for changing the type of container file at videohelp[.]com . While you've got your problem solved james, I wanted to mention that for everyone else since the Power Director giveaway is somewhat limited in what types of video containers it'll work with. Where they say: "Doesn't support MKV, MOV, FLV", content for all 3 can often be placed in .avi or .mp4 files, which it says it does support. james hardy, Personally I'm not a huge fan of any Cyberlink software other than PowerDVD, so I don't have lots of experience with Power Director. That disclaimer out of the way, video & audio streams are each encoded using one of a variety of formats, e.g. mpeg2 video in the case of DVDs, usually accompanied by AC3 audio. One or both of those streams are then placed in a container -- using video DVDs as example, both streams, together with any additional audio streams & sub titles, are placed in a VOB container. The good news is that video & audio streams can each be copied out of the container they're in, & placed in another type of container without re-encoding, either together or individually. SO if a video app doesn't recognize one type of container, it's very often possible to work with the same video in another type of container. A utility called Media Info can be handy to tell just what you've got inside of a video file -- you can get that, along with tools for changing the type of container file at videohelp[.]com . While you've got your problem solved james, I wanted to mention that for everyone else since the Power Director giveaway is somewhat limited in what types of video containers it'll work with. Where they say: <i>"Doesn't support MKV, MOV, FLV"</i>, content for all 3 can often be placed in .avi or .mp4 files, which it says it does support. Good software, try it to experience the "feeling" of producing videos. I still use Abobe premiere 4.0 (freed to 5.0) on a machine running win98SE, no longer connected to Intenet :-). Costed me over 1200 € with the DV500 video card from Pinnacle. OffT: Pro-lasso 2015 gotd lifetime installed today on WIN10 and upgraded without problems. james hardy: A fair comment about this developer, as the number of upvotes you've received shows. Regardless of whether or not its software is good, its history of crippled giveaways isn't. Nor does it seem to wish to learn anything from all the criticisms heaped upon it in comment threads such as this. In reference to that subject though -- wishing to learn -- it may well be that others here might wish to learn of the existence of similar software that's superior in many respects to this Cyberlink offering. Just search for Vegas Movie Studio v13. But, er, don't leave it too late. james hardy: A fair comment about this developer, as the number of upvotes you've received shows. Regardless of whether or not its software is good, its history of crippled giveaways isn't. Nor does it seem to wish to learn anything from all the criticisms heaped upon it in comment threads such as this. In reference to that subject though -- wishing to learn -- it may well be that others here might wish to learn of the existence of similar software that's superior in many respects to this Cyberlink offering. Just search for Vegas Movie Studio v13. But, er, don't leave it too late. Both VideoStudio and PowerDirector are "easy-to-use", in my opinion, and I find myself popping into both of them for different Projects, as each has slightly different 'FX'. Although VideoStudio seems to render slower, I think it has good quality and slightly more output options. PowerDirector seems to render faster and be slightly easier to use, but only slightly. 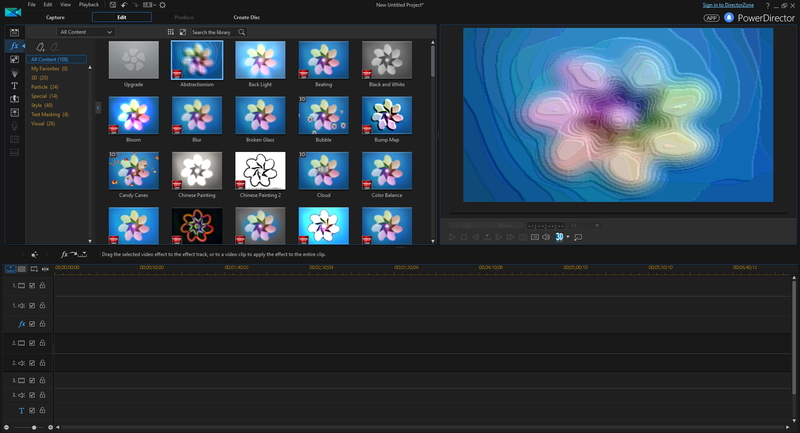 Depending on what 'package' you buy of PowerDirector, it can have less or more 'FX' than VideoStudio. Both will give good output if you choose a high bitrate, and both will be fine for sharing videos on YouTube. If anyone missed today's great Giveaway (Thanks Again, GiveAwayOfTheDay!) - you will be satisfied with trying out and/or purchasing either VideoStudio or PowerDirector, for almost all video editing purposes. I can only find trials for Vegas Movie Studio v13. Installed and registered without issues on W8.1x64. It says the LE does not accept .mkv (!) but I just tried and it does accept import them to the timeline, I guess you cannot export. andario, I meant to say it became a 896MB folder, installed. Has someone found a comparison chart between PowerDirector 15 LE and 15 (or even 16)? For very basic editing and output though, to see what the program looks like and some Effects and Text that can be played with, it's not a bad little Trial (especially if you cannot afford to purchase any video editing application at all at this time..). I suggest the Full Featured Trial direct from CyberLink (30 day Trial Time) to see 'everything' as a real 'taste' of what PowerDirector can do. Troy from The Game Tips And More Blog, thank you for this comment and your experience sharing! I'll stay with DaVinci Resolve and HitFilm Express. Troy from The Game Tips And More Blog, thank you for this comment and your experience sharing! 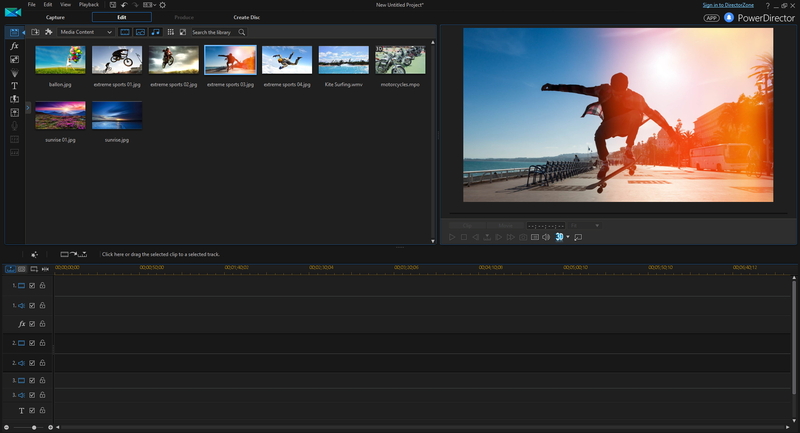 I'll stay with DaVinci Resolve and HitFilm Express. And I expect some folk would equally be disappointed if they thak a Jaguar out for a test drive and get upset when told they cannot HAVE it for free. ouialaraison, And I expect some folk would equally be disappointed if they thak a Jaguar out for a test drive and get upset when told they cannot HAVE it for free. Sorry but YOUR comparisons are the ones that are somewhat skewed. Take a god look at what this offering does and tell me it compares to the ones you have mentioned. The number of files alone are a good clue. Anyway. We shall let it rest as I know folk on here dont like having the truth pointed out to them and only see things from the 'I WANT' perspective and not from a commercial perspective. I.e. what is best for them as opposed to the Company that provides the software. consuella, Sorry but YOUR comparisons are the ones that are somewhat skewed. Take a god look at what this offering does and tell me it compares to the ones you have mentioned. The number of files alone are a good clue. Anyway. We shall let it rest as I know folk on here dont like having the truth pointed out to them and only see things from the 'I WANT' perspective and not from a commercial perspective. I.e. what is best for them as opposed to the Company that provides the software. Sorry. I just read the LE bit and had the common sense to realise that this is a LIMITED version of the software. Obviously I should have expected the Company to give away software that they have spent thousands of man hour developing - for FREE. TK, Sorry. I just read the LE bit and had the common sense to realise that this is a LIMITED version of the software. Obviously I should have expected the Company to give away software that they have spent thousands of man hour developing - for FREE. Lesson learned. LMFAO. Terry I, yep if you had been a visitor here since the services inception it would not be a suprise that vendors are paid by giveawayoftheday.com project to promote their FULL commercial products to tens of thousands directly all it costs them is a non-reinstallable license that users can try out and get familiar with, with the only restrictions that it's for personal use only, no entitlement to free tech support and no entitlement to free future updates/upgrades. And obviously no rights to re-install after the giveaway period. The marketing opurtunity is to get the product seen and used by alot of people, get their websites search engine rating improved by being associated with the impecible search engine rating that this site has, get a massive additional exposure via social media. And if a giveaway user finds the giveaway product an essential part of their computing life when they replace or factory reset their machines they may be inclined to buy the product outright due to it's functionality and the experience of the vendors integrety in the giveaway at not trying to shortchange visitors with a non-full retail license but a limited edition taster like this or a 6 month trial license on a product that does not sell in sub-year rental or does not do rental software. Terry I, In follow up to TK's comment, this edition of the software cannot be bought (click on homepage and you are taken to "Exclusive Download for Giveaway Of The Day" )is not a full version of Power Director 15. Yes other developers DO offer FULL versions of original software, " that they have spent thousands of man hours developing - for FREE", not a crippled up "LE"
Terry I, In follow up to TK's comment, this edition of the software cannot be bought (click on homepage and you are taken to "Exclusive Download for Giveaway Of The Day" )is not a full version of Power Director 15. Yes other developers DO offer FULL versions of original software, " that they have spent thousands of man hours developing - for FREE", not a crippled up "LE"
1: Todays offer is not for sale using the normal way of going to cybrelink, you will only find it when searching on google.